Tusk scolds Leo for leaving the laundry out to dry right before a downpour. Tusk says Leo needs to kick his habit of being unfocused on the big picture. Up on the ship, sharpshooter Huntaji vows to kill a thousand people a day and become the next team leader. The Zyuohgers head downtown after their tails go stiff. They find tons of dolls scattered everywhere and it turns out Huntaji’s shots turn people into them. Sela is the next victim. The others morph. Yamato uses his super sight to see where Huntaji is aiming next. When he sees Amu is the next target, he steps in front to take the shot instead. Tusk, Leo and Amu go hide until Huntaji goes away. Leo wants to chase after him, but Tusk says they shouldn’t be so reckless with such limited options. They collect all the dolls and bring them home. Uncle Mario sees the Sela and Yamato dolls and wants to wash and fix them up, but the others stop him. Their tails go hard again. Leo wants to just rush out, but Tusk says they need to think clearly about a plan. They argue and Amu tries to calm them down. She says she can’t just stand around and do nothing, so Tusk agrees to go out for now. Huntaji is again attacking more people. 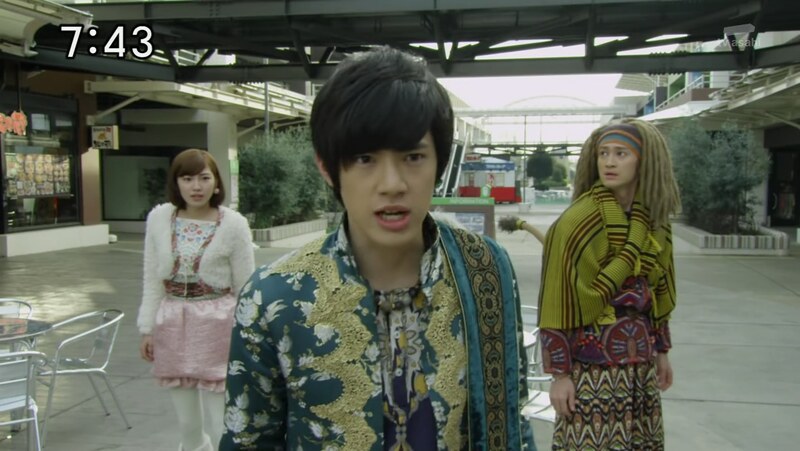 The three Zyuohgers try to draw him out. Amu is the next doll victim, allowing Leo and Tusk to find Huntaji’s location. Huntaji is the one that chases after them and they hurry into a warehouse to hide. Tusk feels guilty about coming up with a poor plan. Leo repeats that there are no absolutes in duels, so they must keep going forward and try again. He tells Tusk to wake up and be at his best. That gives Tusk the inspiration for a new plan. He walks out of the warehouse with Leo at his back. Huntaji shoots at Leo first, causing Tusk to run, but he too gets shot and dolled. Huntaji thinks he’s got ’em, but Leo suddenly pops up, dressed in the tux on the mannequin from the warehouse. Leo is able to take Huntaji’s gun and brings everyone back to normal. The reunited Zyuohgers morph and fight off Moebas. They then turn their attention to Huntaji to finish off his first life. 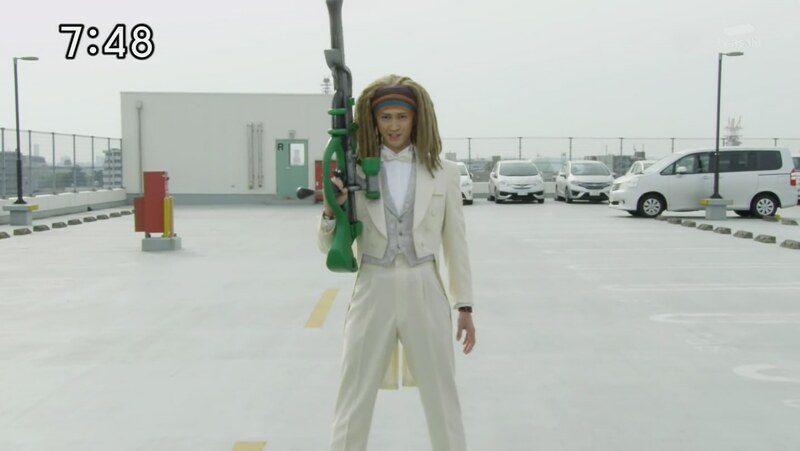 Naria delivers a Continue and the Zyuohgers hop into ZyuohKing and ZyuohWild. They then combine to Wild ZyuohKing and easily take care of the boastful Huntaji. Tusk thanks Leo for helping bring about their victory and also for helping him realize it’s okay to make mistakes. Leo also thanks Tusk for protecting him as well. They call it a tie and they all head home. Meanwhile at home, Uncle Mario is shocked and confused by all the people (formerly dolls) now squeezed into the treehouse. This was a pretty standard filler episode. Just an okay episode. Nothing too special about it. Though that last scene with Uncle Mario was unexpected and hilarious. Maybe the only part of the episode I really enjoyed. 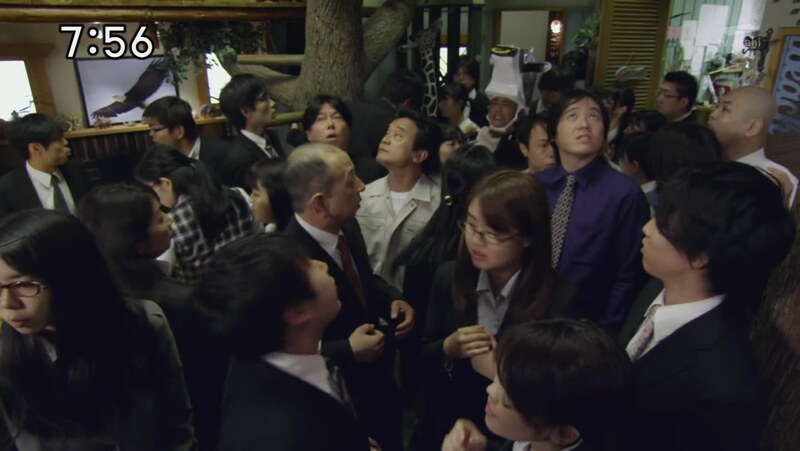 ← Recap: Kamen Rider Ghost, Episode 33 – Miracle! Infinite Thoughts!